One of the most intriguing processes in medicine is the placebo effect: the healing power of a sham therapy, when it's offered to patients with the suggestion that it will help. Neuroscientists have even observed where and how the placebo effect may work in the brain. In one recent study by University of Michigan researchers, participants who were told they would receive painkillers showed increased production of endorphins  the brain's natural pain reliever  even though they got no analgesic at all. It makes sense. Most people can attest that the mere expectation of relief can somehow prompt the body to respond. What most people don't know, however, is that doctors occasionally prescribe placebos to their patients in regular practice. In a study published this week in the Journal of General Internal Medicine, a student-and-professor team at the University of Chicago surveyed 466 faculty physicians at Chicago-area medical schools. Almost half of the 231 respondents  45%  said they had prescribed placebos in regular clinical practice and, of those, just over half had prescribed them in the previous year. Among the reasons the doctors gave: to calm a patient down, to respond to demands for medication that the doctor felt was unnecessary, or simply to do something after all other clinical treatment options had failed. It's fair to believe that most prescribing doctors felt they were doing the right thing. Of all the physicians surveyed  whether or not they had prescribed placebos  96% believed that dummy pills could have real therapeutic effects. But does that make it acceptable to administer them? If placebos work by manipulating a patient's expectations, then prescribing them suggests that doctors are deliberately deceiving their patients. That undermines one of the key principles of Western medical ethics: informed consent. Most patients believe they have the right to know  and in most cases to refuse  the treatments that doctors recommend. Doctors seem aware of this quandary. Twelve percent of survey participants said they thought placebos should be banned completely from regular clinical practice. Among the doctors who prescribed them, one in five said they outright lied to patients by claiming a placebo was medication. But more commonly, the physicians came up with creative ways to explain, saying the substance might help but wouldn't hurt, or that "this may help you but I'm not sure how it works." For its part, the American Medical Association (AMA), the largest association of U.S. doctors and medical students, tells its members that "[p]hysicians may use placebos for diagnosis or treatment only if the patient is informed of and agrees to its use." But wouldn't disclosure drain the power from a placebo? Not necessarily, according to the AMA. 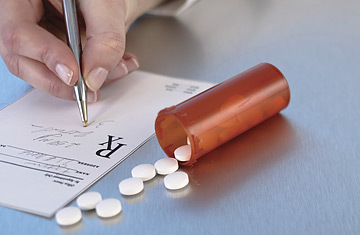 Once physicians have been given general permission to use placebos, the AMA's guidelines say, they don't need identify to their patients which treatments are true medical interventions and which are not: "In this way the physician respects the patient's autonomy and fosters a trusting relationship, while the patient still may benefit from the placebo effect." It's still not clear how many doctors prescribe placebos. The current Chicago survey is the first U.S. survey of its kind this century. The AMA guidelines are an attempt to reconcile what is best for the patient  providing treatment that may help  and what is ethically upright. They also reveal a fundamental change in the way modern scientists view the relationship between mind and body. In 1979, a similar survey of American doctors found that 60% of respondents believed that using placebos was a good way to deduce whether a patient had a "real" problem or was just faking it. In the current study, 80% of doctors disagreed with that statement. "That's a significant shift in doctors' thinking in a relatively short time," says lead author Rachel Sherman, a fourth-year medical student at the University of Chicago. Today, few doctors balk when patients say they have pain but show nothing abnormal in scans. "Physicians in this survey believe the mind and the body are inherently interconnected, and that belief can challenge our approach to the healing process in new, innovative ways," she says.